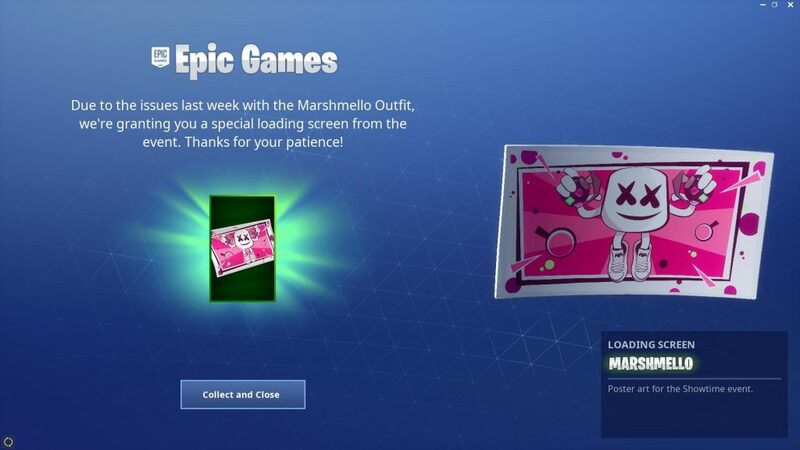 The past week for Marshmello skin owners has been rough so Epic Games is rewarding players with the skin with a free loading screen from the recent concert. Back in early February, Fortnite put on a special Marshmello concert at Pleasant Park that broke records. Players were even able to pick up a skin of the famous DJ and wear it to the event. The skin is reactive by changing colors depending on what is going on, but that hasn’t always worked. It sounds like Epic Games has the bugs with the skin ironed out and is rewarding players for their patience with a free loading screen. 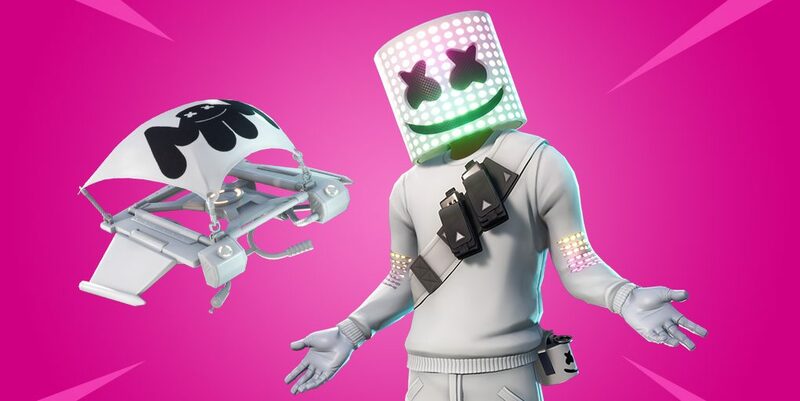 The free loading screen for Marshmello skin owners in Fortnite. The next time players log in after downloading the v8.01 update, they will be met with the following in-game message. Even if you haven’t necessarily noticed any issues, you get a free loading screen out of it so it’s a win-win for everyone involved. By adding this load screen, players could basically turn Fortnite into a Marshmello simulator based on all the items that are now available. This was a fix then went under the radar if you’re looking at the patch notes so you can look at it as an added bonus.